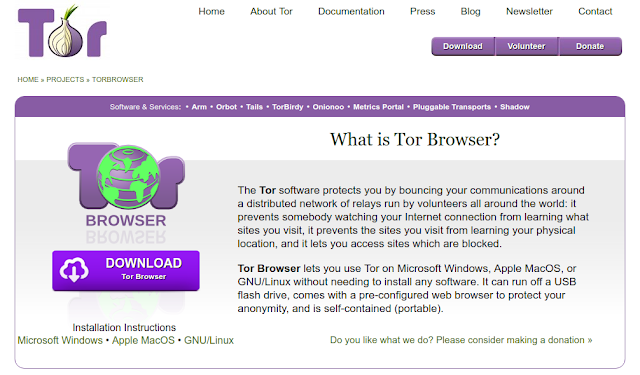 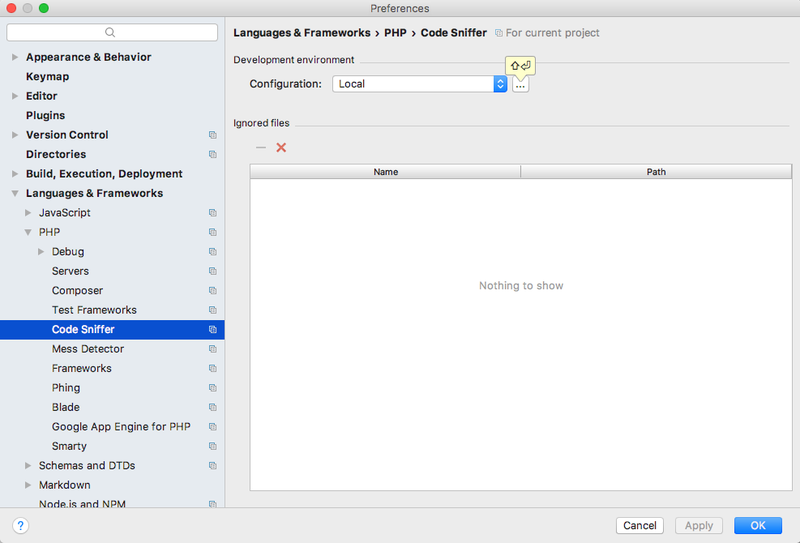 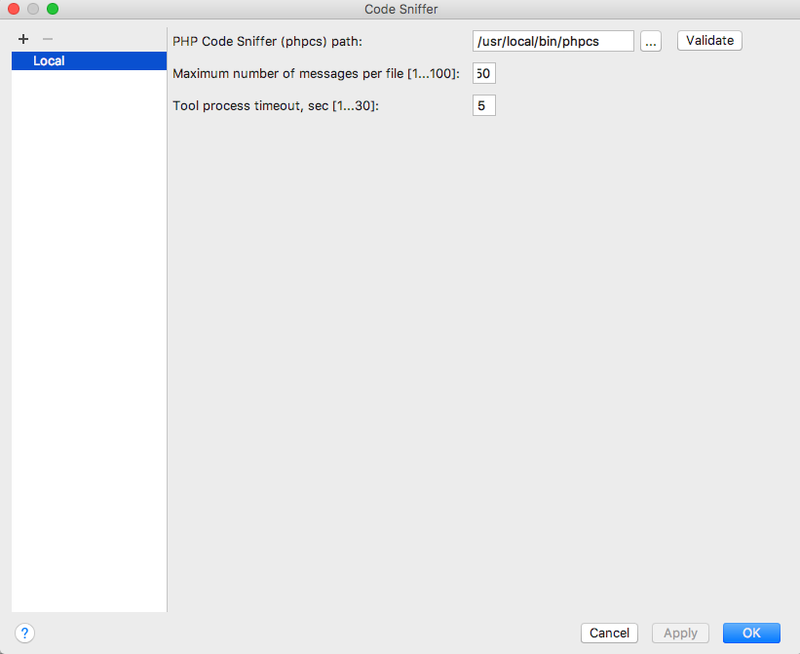 Expand the "Languages & Frameworks" menu, choose the "Code Sniffer" menu, then click the "..." button. 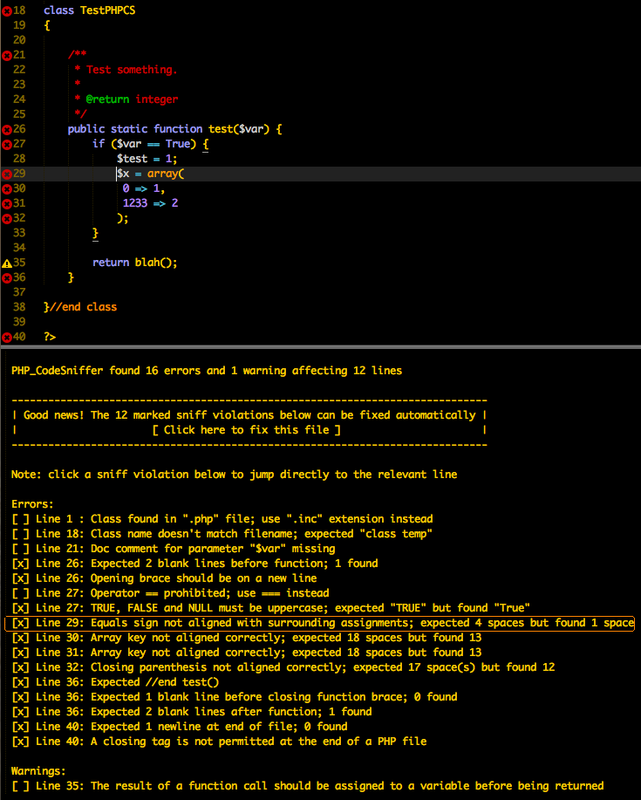 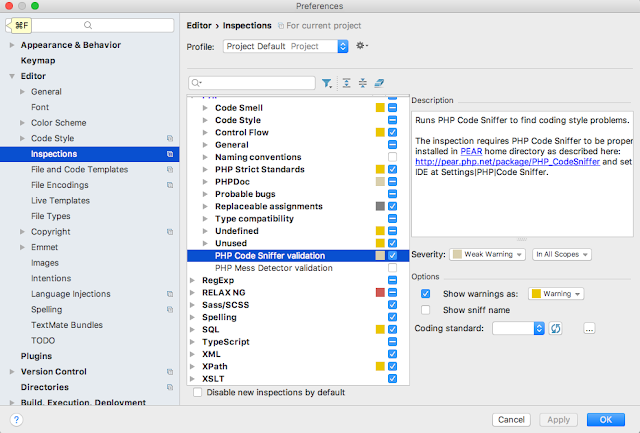 Enter your PHP Code Sniffer path, then click the "Validate" button. 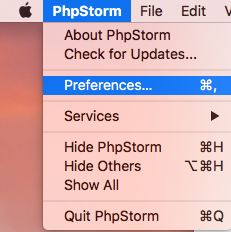 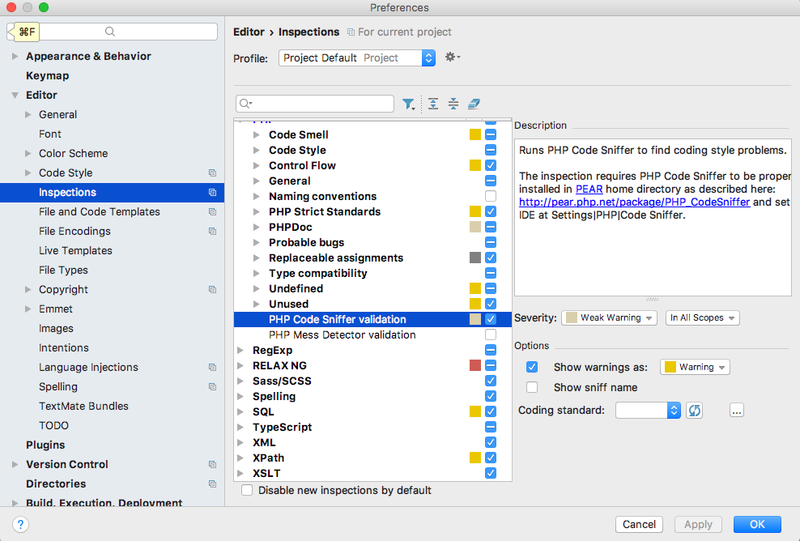 Expand the "Editor" tab, choose the "Inspections" tab, check the "PHP Code Sniffer validation" checkbox, then click the "OK" button. Open any PHP file to check.